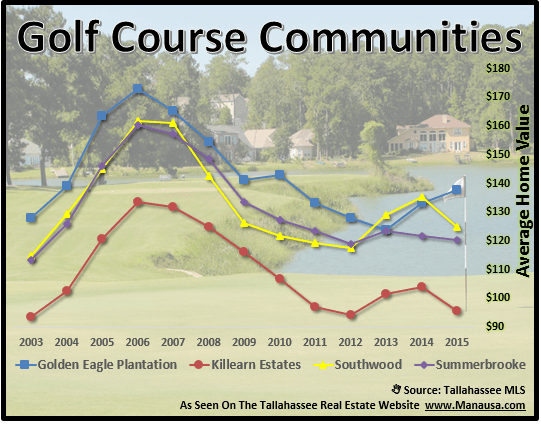 We like to track many different trends in the Tallahassee real estate market, and one that we've written about for many years relates to activity in the golf course communities. There are four major golf courses in town, and several others that are smaller or municipal. For the purpose of our real estate report, we will address Killearn Golf Course, Golden Eagle Golf Course, Summerbrooke Golf Course, and Southwood Golf Course. It is around these four that most of the golf-course related real estate sales occur. I was surprised to find that so far in 2015, three of the four golf course communities are showing a decline in home values. In the real estate graph above, the average price per square foot of all homes sold each year are plotted. 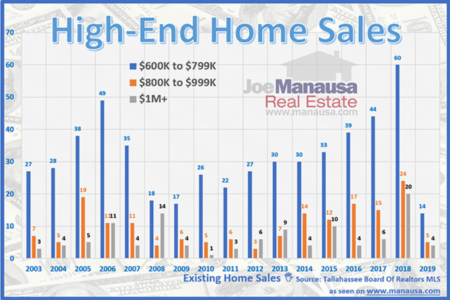 While 2003 through 2014 contain a full calendar year's worth of home sales, the 2015 sales are from January through mid February. It's important to note that the home sales measured by the graph above are not all on the golf course, rather they are in communities that contain a premium golf course. Additionally, it only measures existing home sales (resales), so this information is key for people who own a home in one of these communities and is considering a sale. Often times, it can be misleading to see what builders are getting and then think that an existing home owner would get the same value for a used home. 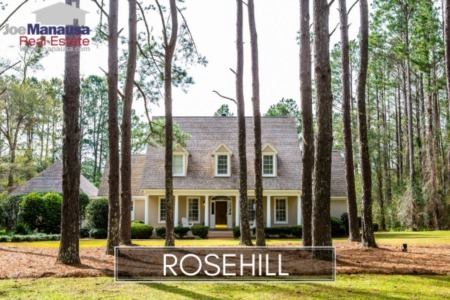 The following list shows homes for sale in the four premium golf course communities in Tallahassee. If you would like to know more about selling a home or buying a home in one of these four golf course communities, just drop me a note and we can schedule a time to meet to review your needs and help you determine the best current values in the market.